Don’t jump into catering with complex full menu options. Pick four or five items that you do well that can be mass-produced with ease. Trays of pasta or salads, sandwiches, and other easily packaged foods are the best start. While it pays to start simple, make sure you’re offering something for everybody. The gluten-free food craze has ballooned to a $3.47 billion industry, and there is always one vegetarian or vegan at every party. Consider having an option for picky eaters and something that is kid-friendly. When delivering hundreds of dollars of food to a catering customer, you might want to throw in a couple free samples of your best dishes. Offering a quality sample may inspire customers to order again, and people tend to spread the word about generosity. The best way to grow your catering business is to tailor your marketing efforts to holidays or celebrations that include large groups of people. The more people, the more food needed. Use SinglePlatform to inform the public about your great party trays for graduation parties or about great summer fruit salads for Fourth of July gatherings. 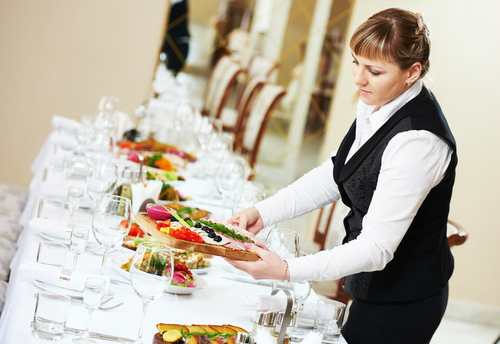 With catering, you are able to easily plan inventory and forecast revenue. Capitalize on the busiest season of the year and turn community little league banquets into extra revenue for your business. Want more marketing tips or industry trends? Check out SinglePlatform on Instagram, Facebook, and Twitter.